The Water and Energy Security for Africa (WESA) project was officially launched at a special ‘kickoff’ event, held in Tlemcen, Algeria. 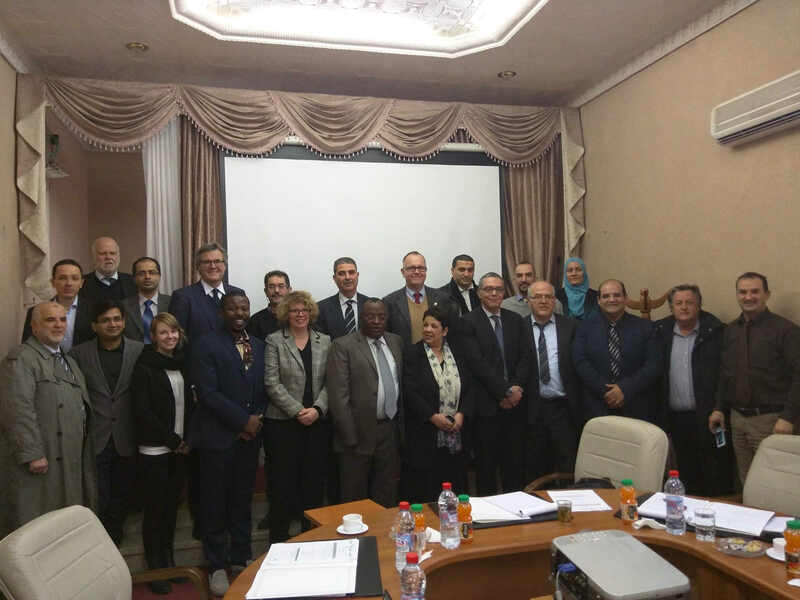 The Rector of the Pan African University, partners of the German higher education consortium, headed by the United Nations University Institute for Environment and Human Security (UNU-EHS), and the project donor German Federal Ministry of Education and Research (BMBF) met in the northwestern Algerian city of Tlemcen to officially welcome the initiative that aims to support the development of the Pan African University´s Institute of Water and Energy Sciences (PAUWES) by enhancing its research activities in water and energy sciences. Prof. Dr. Jakob Rhyner, Director of United Nations University – Institute for Environment and Human Security (UNU-EHS), and Dr. Erick Rostand Gankam Tambo, Associate Academic Officer for UNU-EHS, who is coordinating the project attended the opening. Further participants included representatives of the Center for Development Research (ZEF), Institute for Technology and Resources Management in the Tropics and Subtropics (ITT), German Society for International Cooperation (GIZ) and the German Academic Exchange Service (DAAD), several professors of the University of Tlemcen and other strategic partners. In their statements Prof. Moustapha Djafour, Rector of the University of Tlemcen, and Prof. Belay Kassa, Rector of the Pan African University, both underlined the crucial importance and benefits of the WESA project for all partners involved. The Director of PAUWES, Prof. Abdellatif Zerga, shortly described the current state of PAUWES and the importance of the WESA project for the next steps in PAUWES’ institutional development. The German Federal Ministry of Education and Research (BMBF), represented by Dr. Anja Köhler, gave an overview on ongoing and planned collaboration projects with PAUWES and highlighted the importance and strategical goals at BMBF to contribute to PAUWES as a flagship project of the African Union. The partners committed to collaborate closely to achieve WESA’s main goal and develop innovative research that is adapted to local contexts and applicable in the areas of water and energy security in Africa. It will be the first step towards the implementation of a research agenda at PAUWES and offers several PAUWES graduates the opportunity to conduct PhD studies.